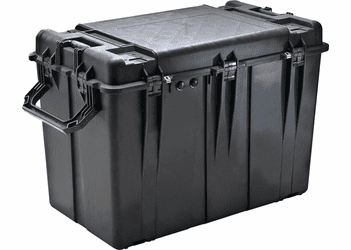 Built for tough, versatile mass transit, the 0500 Transport Case is designed to fit two cases to a 42"" x 48"" pallet and features more than 16,000 cubic inches of usable storage space. The case' robust design also allows for them to be stacked one-level high for a total of four cases in one load. Like all Pelican Protector Cases, the 0500's open cell-core wall, polymer construction protects sensitive equipment from some of the harshest conditions on Earth. Additional standard features include a removable 4"" x 6"" clear identification document holder, a lid equipped with a polymer o-ring for a dust and waterproof seal and dual action latches that have been tested to withstand nearly 400 pounds of pressure (but open with a light pull). 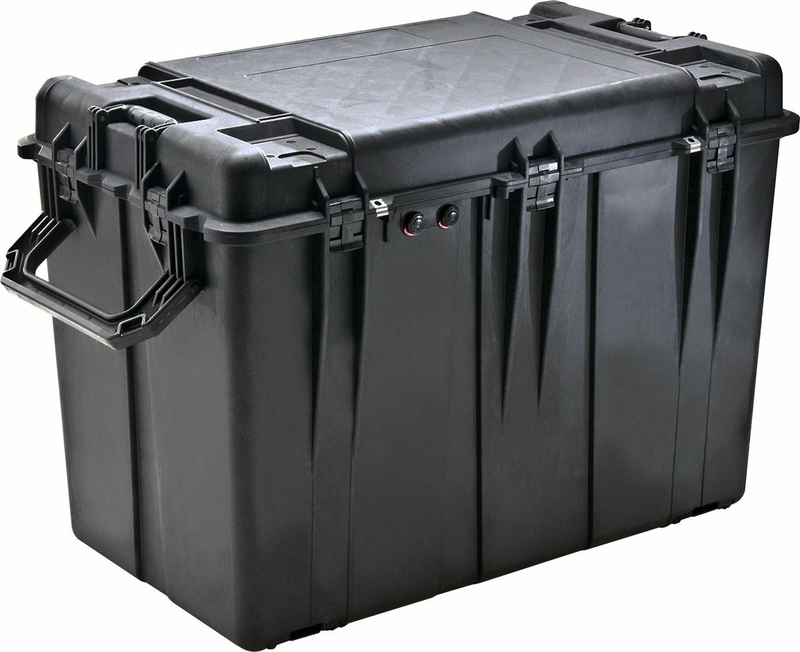 Genuine Pelican Protector Cases are fully stack able for optimal space efficiency and can always be spotted by their distinctive, trademarked ""Dual Band"" design. Lid Layer 1 2.25"" Convolute, Base Layer 1 .05"" Pad, Base Layer 2 4.50"" Diced, Base Layer 3 4.50"" Diced, Base Layer 4 4.50"" Diced, Base Layer 5 4.50"" Diced, Base Layer 6 4.50"" Diced. No. of Wheels: 4 (Optional) "